The scientific and technical journal “Internal Combustion Engines” was established by the National technical university “ Kharkov polytechnic institute ” in 2002 (the Certificate of the State committee of an information policy, a television and radio broadcasting of Ukraine is КВ № 6393 from 29.07.2002). It was added to the List of scientific professional publications of Ukraine. In 2010 the journal passed a re-registration (Decision VAK of Ukraine №1-05/1 from February, 10, 2010). The journal is published twice a year, including papers written in Russian, Ukrainian, English or German languages. The journal is the assignee of the scientific and technical collector “Internal Combustion engines” of the Kharkov polytechnic institute which had been published since 1965. The editor-in-chief of the journal is Marchenko Andrey Petrovich, the Honored worker of a science and technicians of Ukraine. He is the Academician of Academy of the Highest school of Ukraine, the Laureate of the state award for 2008, professor, doctor of science. In publications of the journal fundamental and applied problems of the modern engine creation are considered. Results of scientific research conducted by professors and researchers of the higher school and National academy of science, by post-graduate students and post PhD are presented in the journal. Different specialists from branch establishments, industrial companies of Ukraine and foreign countries analyze problems which are connected to development of designs, engine operation, production engineering of internal combustion engines. The journal actively cooperates with known scientific schools which work in NTU «KhPI» and in other higher educational institutions of Ukraine, Russia and other countries. In particular, research completed at National transport university, Kharkov national automobile university, Ukrainian state academy of a railway transport, Moscow Highest Technical University named after N.E.Bauman, Belarusian National Technical University, and others, is included in this publication. The journal is registered in the International System of registration of serial (periodical) publications under standardized code ISSN 0419-8719. An electronic copy of the journal is in open access on sites hosted on the department of ” Internal Combustion Engines ” and scientific-technical library of NTU “KhPI” and also is stored in the state-wide database of abstracts ” Ukrainіka Naukova ” (free on-line access to resources on the Web- server of the National Library of Ukraine named after Vernadsky) (Ukraine). 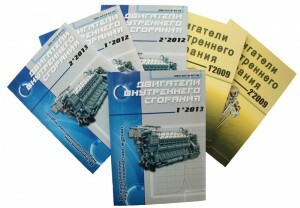 Also, an electronic copy of the journal is stored in the database of abstracts of Russian Institute for Scientific and Technical information (VINITI ), Russian Academy of Sciences and published in thematic series of Abstract Journal “Internal Combustion Engines ” ( free on-line access to a resource on the Web server VINITI ) (Russian Federation). 6) BASE search service (Germany ), which is one of the most powerful suppliers of actual data about scientific publications of European scientists.